4talk IM is a messenger released in 2014. Once more candidate to push WhatsApp and Viber out of their top positions in the market, characterized by the ability to work on different platforms and, presumably, high speed. Presumably, because no tests have proved it yet. 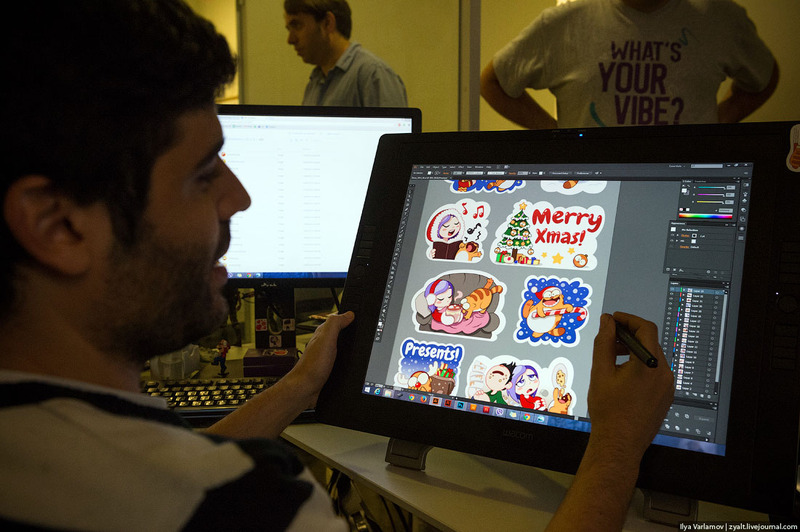 We have already written about stickers: Sticker Startup Bought for $27 Mln and Messengers: Behind the Scenes. These blown out of proportions emojis are gradually becoming part of all messaging apps, except for the most archaic ones, like WhatsApp. Even though it has not been too long since stickers appeared, for most messengers it is the main source of income. So, to make stickers unique, developers use “unique” methods. In Viber some of them are made by the staff, teams of other messengers buy the services of the aforementioned startup. However, 4talk has chosen the easiest path – they have announced a contest. This is far from something new – Telegram was the first to do it in the past. *Although, stealing/borrowing from Telegram has already become typical. If you used to doodle in your composition book at school, were good at copying and drawing cartoon characters or if you are just good enough with a pencil, can draw with a stylus/mouse – make your own sticker pack for 4talk and 50% of profit from sales will be yours.